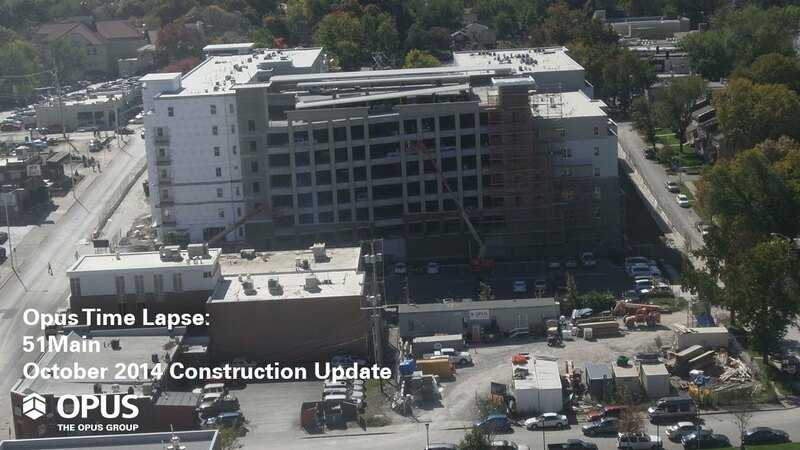 ​After breaking ground in January 2013, construction on 51 Main, a new luxury apartment development in Kansas City, Mo., is nearing completion with just a few more months to go. Once finished, the 6-story building will house 176 luxury apartment units, 10,000 square feet of retail space and include an eight-level parking garage that the building partially wraps around. Located in the trendy South Plaza neighborhood, the apartments will feature luxury amenities including a fitness and yoga center, fireside lounge, infinity edge pool, clubroom and outdoor party deck with a kitchen and bar. Filed Under: Client Direct Services, Kansas City, Residential Development & Construction, Multifamily Development & Construction, Opus Design Build, L.L.C.